The Federal Housing Administration (FHA) is a division of the U.S. Department of Housing and Urban Development, commonly referred to as HUD. FHA loans were created to provide affordable mortgage loans to homebuyers. The federal government insures FHA loans, or guarantees participating lending institutions against loss from default on qualifying loans. One time mortgage insurance premium also charged, which may be financed. 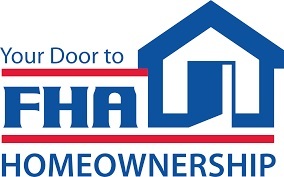 Ask one of our qualified loan officers if your property qualifies for an FHA loan today!